Mangoes are a tropical fruit with an orange color and citrusy, melon-like flavor. 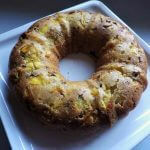 This recipe makes a cake bread or batter bread. 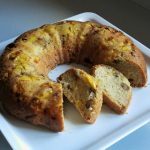 It has the consistency of a pound cake when baked. 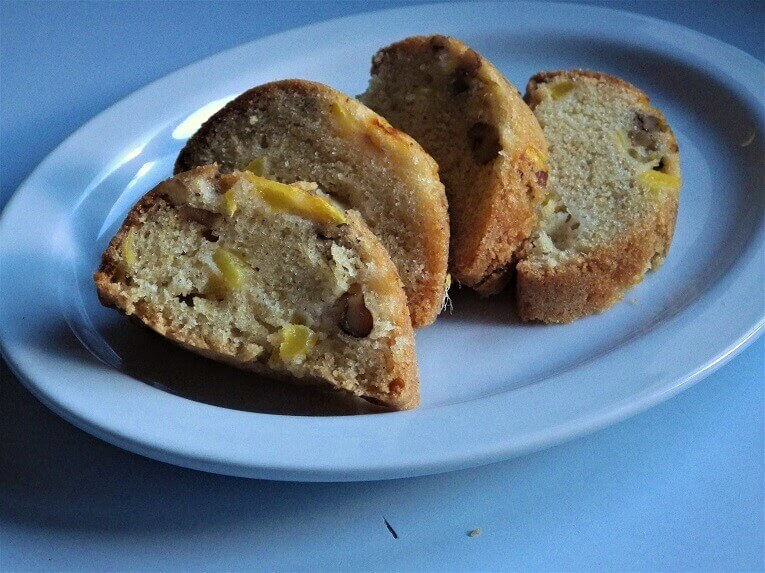 You can make a Mango cake from start to finish in a bread machine, but you need a batter bread or cake bread setting. Because most bread machines don’t have those settings we’re going to use the bread machine to make the batter and then finish the cake in a Bundt pan in the oven. 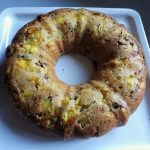 You could use any bread or cake pan to finish the bread, but the Bundt pan makes for a nice presentation. 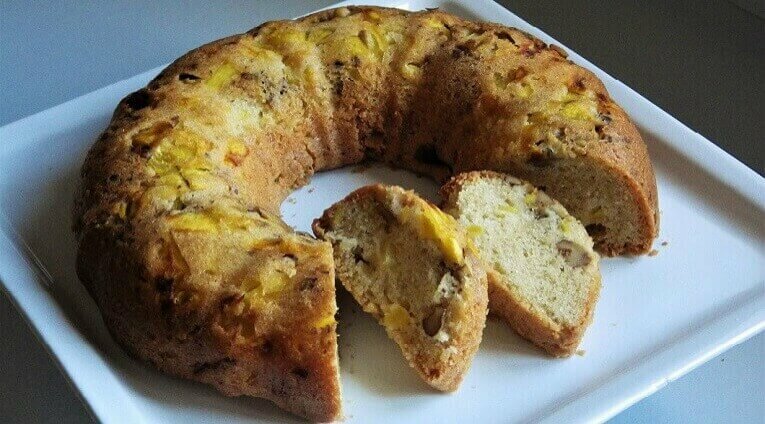 One step you should keep in mind is that the nuts and 1/3 of the chopped mango go into the Bundt pan before the batter is poured into it. This will result in the nuts and some of the mango to be on the top of the finished cake because it’s inverted onto a plate after baking. 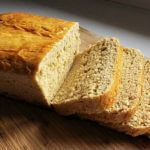 To finish this in a bread machine without a batter bread or cake bread setting you have a few options. One option is to use either a cookie dough setting or pasta dough setting. This also assumes your machine has one of these settings. The reason these settings are important is because they don’t have a rising cycle. Most bread machine settings use this rising cycle to cause a yeast bread to rise before baking. 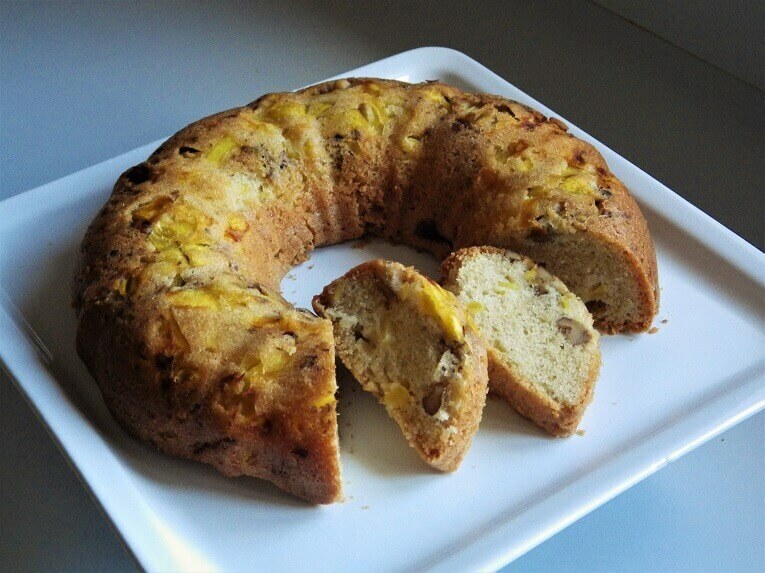 Cake breads like Mango cake have baking soda in the recipe rather than yeast. For this reason, cake breads don’t rise before baking. They rise towards the end of the baking cycle. 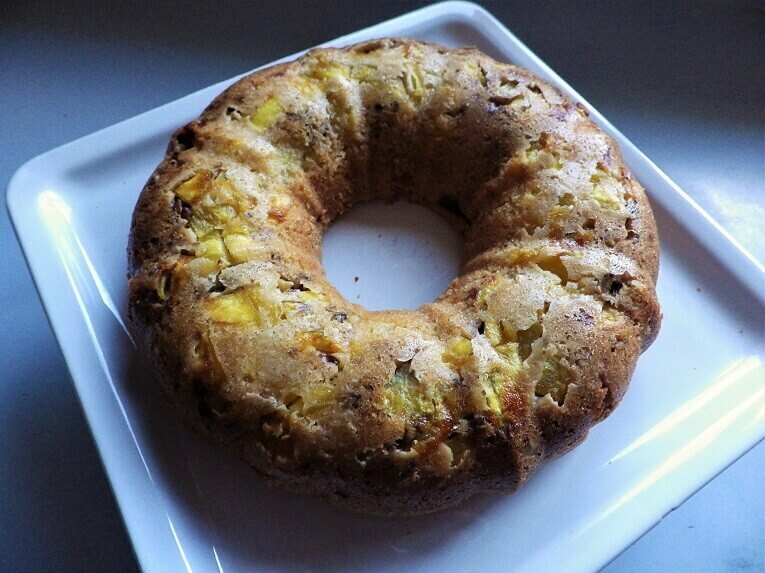 If you subject a cake bread with baking soda to a rising cycle you will end up with a sunken piece of concrete. However, there is still one option left. If your bread machine has a basic dough setting you can use that to make your batter, but you have to take one action: you need to pour out the batter before the basic dough setting goes into its rising cycle. 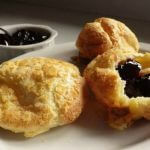 All you have to do is pour out the batter right after the kneading cycle is complete. If you don’t you’ll be exposing the batter to the beginning of the rising cycle. If that sounds complicated, it is but at least you can get your machine to mix your batter without turning it into a brick if you only have the basic dough setting. 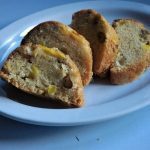 If you have a batter bread or cake bread setting you can select that to make the Mango cake from start to finish. If you have a cookie dough or pasta setting you can use the machine to mix the batter and finish in a buttered pan in the oven at 400 degrees Fahrenheit or 205 degrees Celsius for 40 to 60 minutes. If you only have a basic dough setting you can still mix the batter in the bread machine but pour out the batter after the kneading cycle and before the rising cycle for the basic dough setting begins. Pour the batter into a buttered pan and do the same oven settings. If you are finishing in the oven there is a test for doneness. Stick a toothpick in the center. If it emerges wet, bake for 10 more minutes. Repeat this test until the toothpick emerges dry. 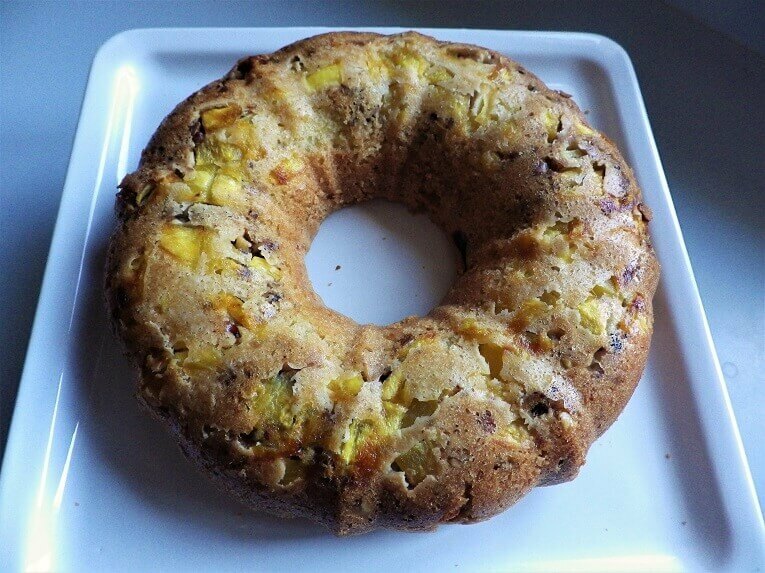 When the cake is done, invert the pan on a cake plate and let rest for 10 minutes. Slice and serve.